This summer we decided to take a last minute holiday in Cornwall - I've always wanted to go back to Cornwall after visiting it as a teen, from memory and photos it looked stunning and I just wanted to explore! Plus, as much as I love log cabins in the mountains, I really craved a sunny holiday. It was an amazing week and I fell in love with Cornwall - there is so much to write about that I am going to break this trip into several different posts to make them more bite-size. 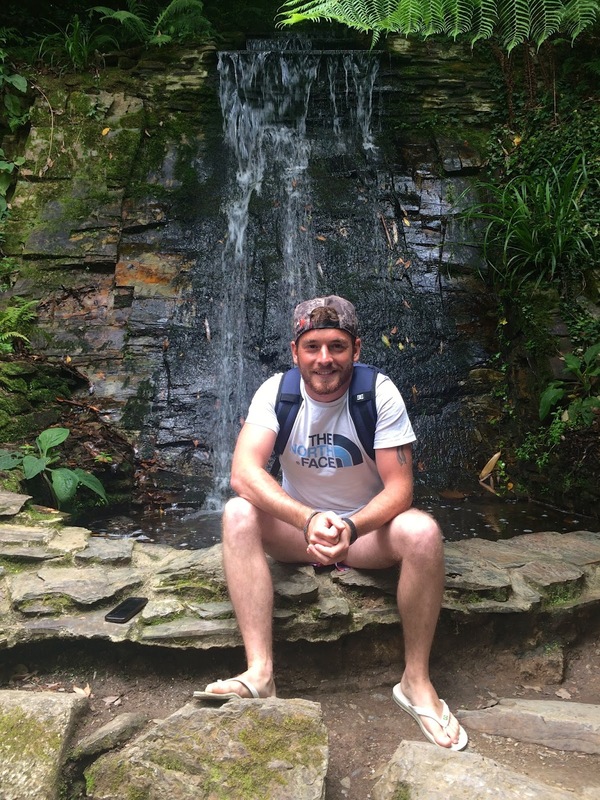 The first place I wanted to share with you is Trebah Garden, a beautiful exotic escape in the south of Cornwall. I found Trebah Garden when planning our trip to Cornwall and the Google images looked stunning! I couldn't believe that there was a garden that looked like it fell our of Jurassic Park in England. 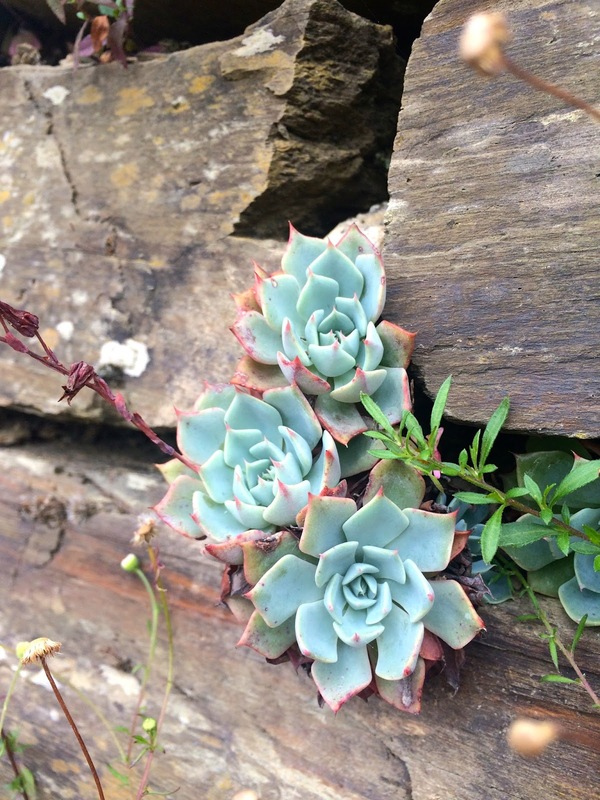 If you're a fan of succulents, you'll love Cornwall - they're everywhere! 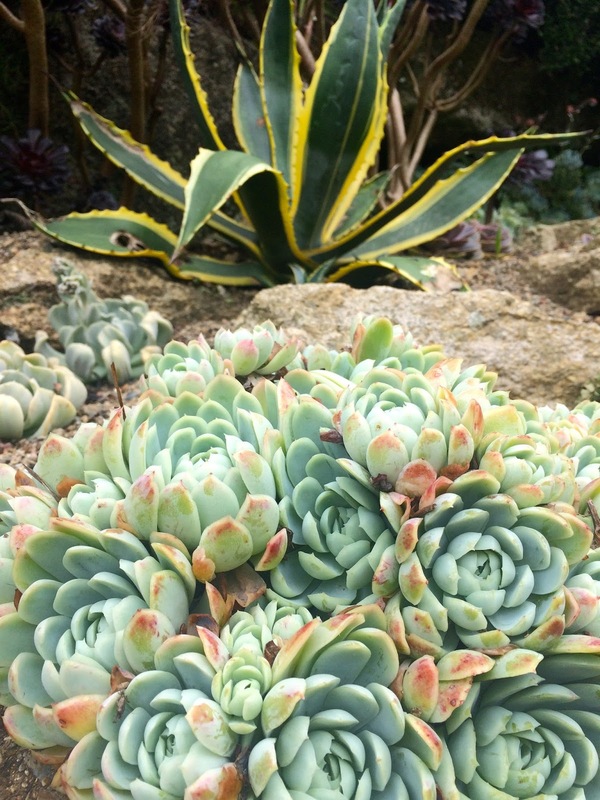 And the most exciting, big and beautiful succulents were in Trebah Garden. We found so many different species of succulents: tall and skinny; big and fat; crawlers; ones that lookes like palm trees. They were beautiful! 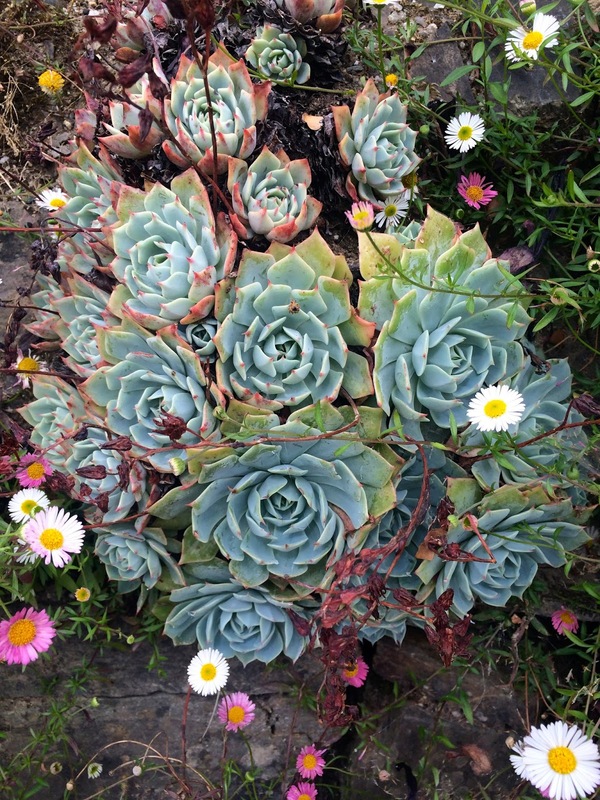 We ended up buying some succulents at the end to take home with us; and a lovely lovely lady who saw the succulents in the back of our car on the last day of the trip actually went into her garden and got some pots with succulent cut offs that she gave to us - they're currently thriving in our garden! 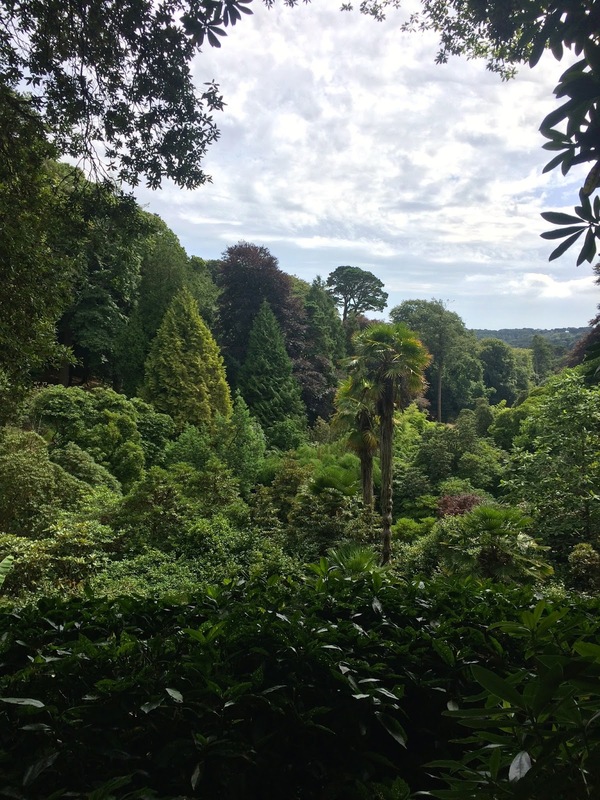 Being in Trebah Garden reminded me of being a kid - I grew up in a sub tropical climate and was used to palm trees, weird looking flowers, acacia trees, magnolia trees - the attraction did not disappoint in all the variety of plants. It was so nice to run around looking for different flowers, climb some trees and explore waterfalls. We had so much fun! 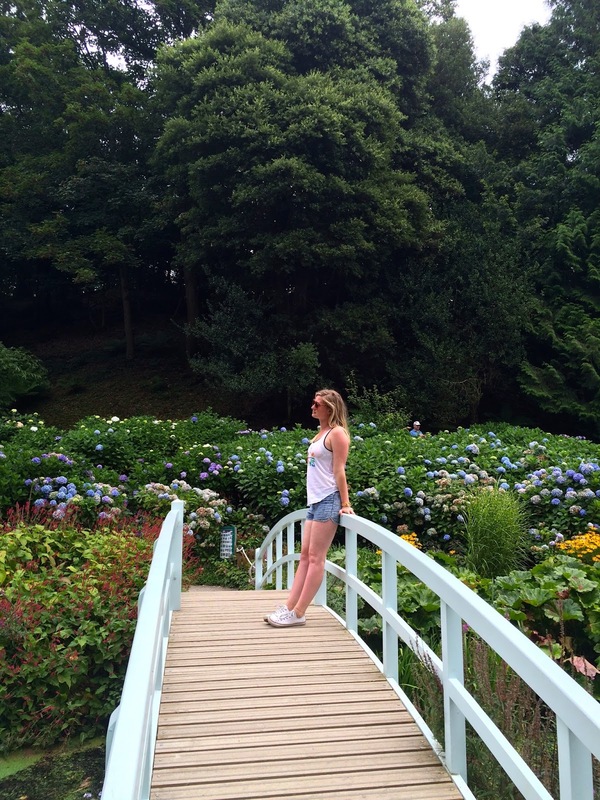 Don't be fooled by Google who says most people spend around an hour there - we spent the whole day at Trebah Garden! There's so much to see, and so many beautiful photo opportunities that you have to take your time. Bring a picnic and enjoy it on the top of the hill with the Jurassic view! At the entrance to the gardens, you get given a little map that shows where everything is: we absolutely had to visit a maze which was made up of giant rhubarb. These rhubarbs are HUGE! I mean a lot bigger and taller than your average person - and they had pink flowers which look like gigantic Venus Fly Traps! 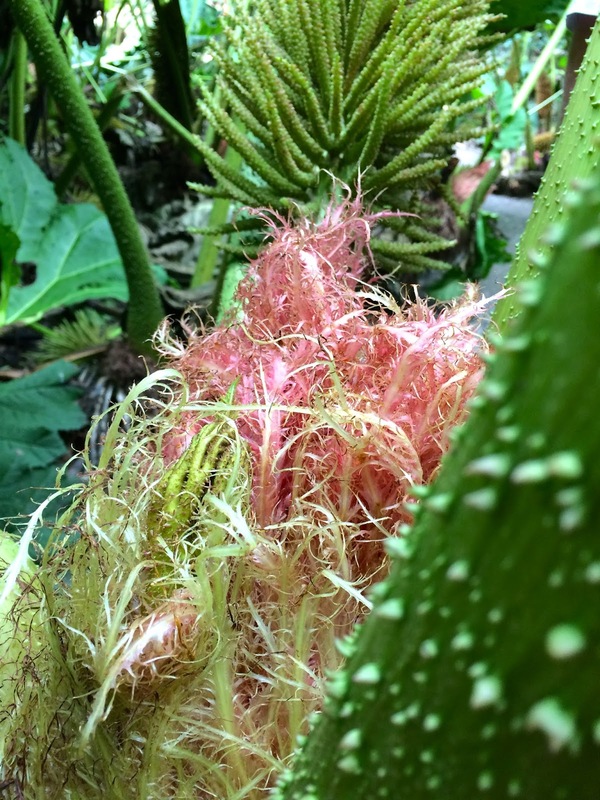 Be careful in the maze, as giant rhubarb have spikes on their stems - but don't let them stop you from exploring the maze and area. And get cameras at the ready! We carried on down the path which led downhill and came across the valley of the flowers - the most beautiful place. 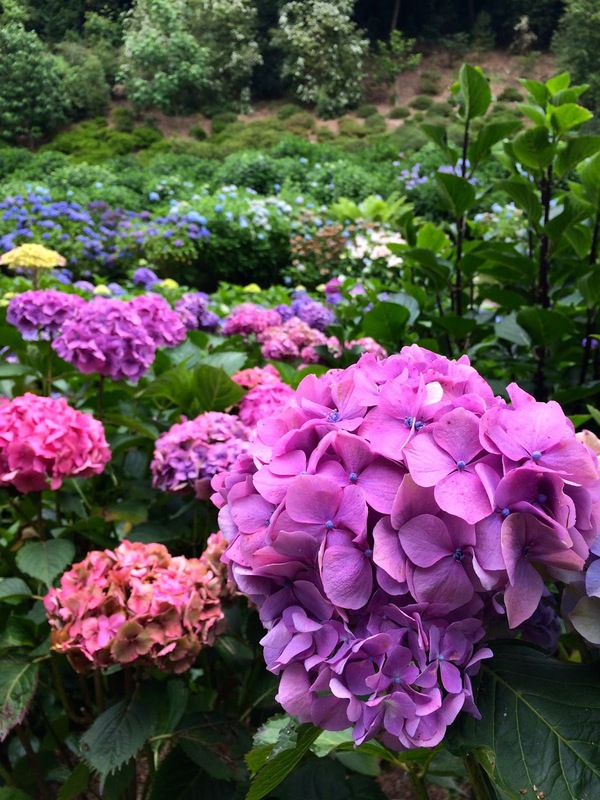 A little river ran down the valley surrounded by beautiful clusters of hydrangea in all shades of pink and purple. At the bottom of the valley is a pond with big lily pads - and fish and frogs! This hydrangea valley was close to the end of the trail - it led down to a small beach with a caffe that served drinks and ice creams. We reached the bottom of the hill and ended up on the beach - temperatures were at a high and we couldn't resist a nice ice cream and coffee which we enjoyed sitting at the edge of the beach watching boats in the distance. 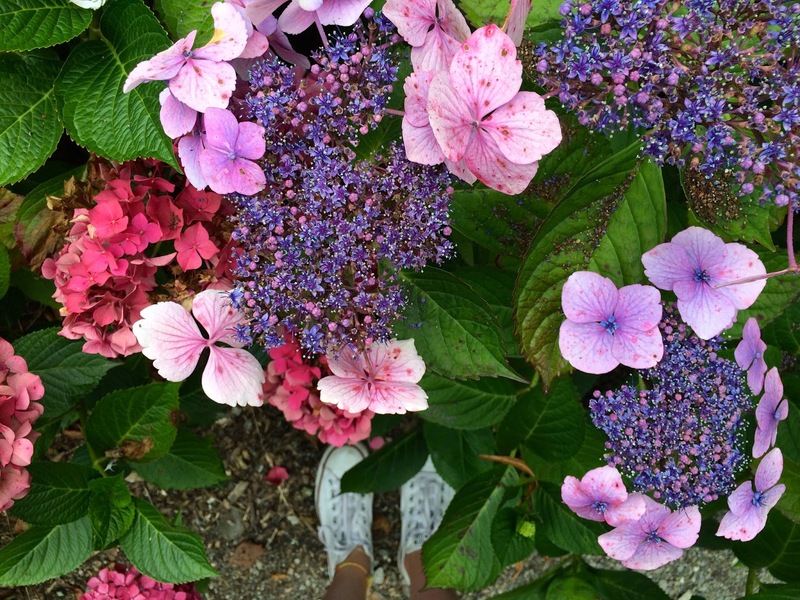 I LOVED Trebah Gardens - there is so much to do, so much to see and what you see is beautiful. 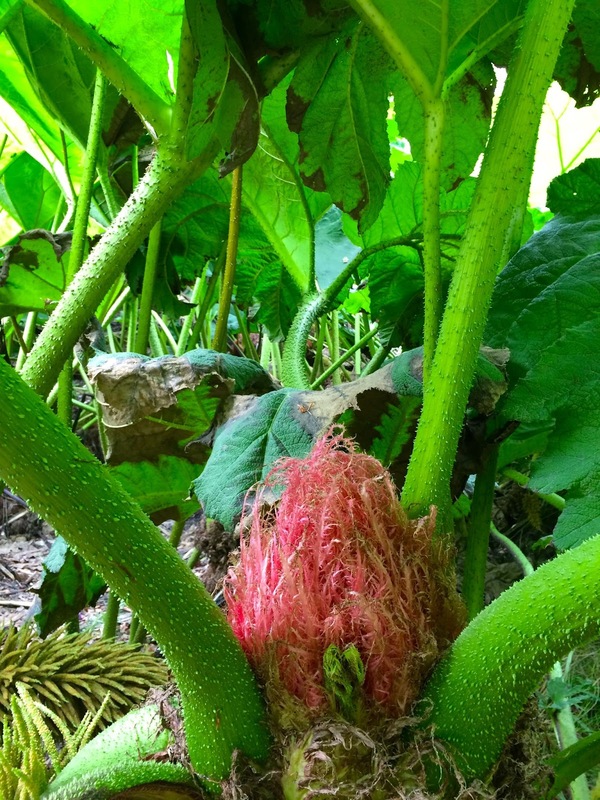 The best thing about this attraction is that you can go there alone and not get bored; you can go there with you other half and enjoy a nice picnic in a very romantic setting; and you can go there as a family because there are plenty of activities for kids to enjoy whilst you take in the tropical beauty of Trebah Gardens. Have I sold it to you yet? 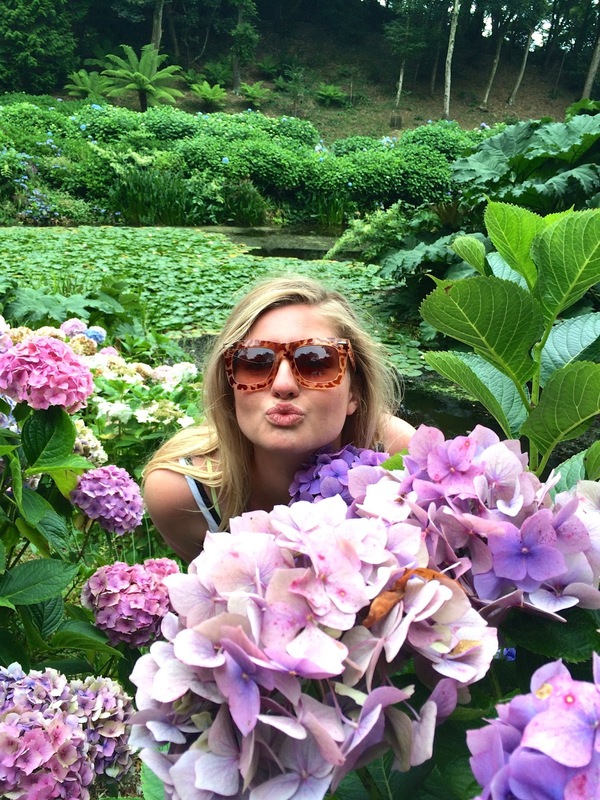 Are you packing your bags to visit Trebah Gardens now? Well, you should - because other than getting on a plane to a tropical rainforest, you will not experience this kind of beauty closer to home.